I don’t hit snooze. Only losers and people who lack HUSTLE hit snooze. “Can I come in?” she says. Her voice is comforting—like her classic black bean chili on a January day—even if it is a little muffled behind the door. I groggily get out a “Yes” while stretching hard and deep. Every single joint of mine goes pop, pop, pop. Your mom walks in with an entire Chemex full of coffee, a gratitude journal, and two pairs of boxing gloves. I open the blackout curtains (clutch for any go-getter who starts their day at 5am). The morning sun engulfs the room, including me and your mom. First things first: coffee. I don’t even need a mug. I just chug the stuff straight from the Chemex your mom has prepared for me. It is delicious. “How’d you sleep?” she inquires. “Pretty well, Mrs. [whatever your mom’s last name is]. Thanks,” I reply. Next in my super-productive morning routine: Meditation. “Thinking is normal, hun-bun. We are not trying to stop thinking, but rather bring our non-judgmental awareness to thoughts, then return to the anchor of the breath and body,” she says gently. Your mama’s voice is so soft and calming and reassuring…it could easily be on NPR. “Deep breath in through the nose, hold it… And ouuuut through the mouth, as if you’re blowing up a balloon.” Your mom knows how to activate my parasympathetic nervous system through belly breathing. Essential to get grounded for a productive day ahead. Next, your mom hands me my gratitude journal. She also straightens my messy bed-hair. Anyways, oftentimes it’s easy to forget the good stuff happening right in front of us. Gratitude journaling is so helpful in bringing mindful attention to that good stuff. Like the warm bed I had to sleep in. Or the emotional support of your mom. While I’m journaling, your mom makes my bed and fluffs my pillow. 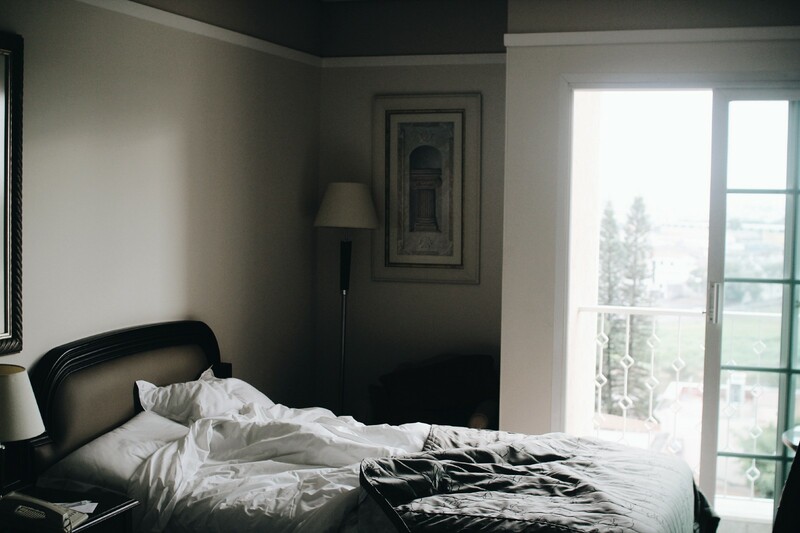 Making one’s bed first thing in the morning is a simple habit that sets you up for a good day. Once I have gratituded, your mom hands me a pair of boxing gloves. After helping me lace them up, she wears a boxing mitt for me to punch into. She showers me with positive affirmations like “You got this, sweetie” and “I believe in you” while my gloves meet her boxing mitt with a thwack, thwack-thwack. If you don’t mind me saying: She is so agile, your mom! She effortlessly switches up where I should land my punches. One second her mitt is up high. Another second it’s way down low. The next, it’s shoulder-height, inches away from the hummingbird broach from Chico’s that is pinned to her cardigan. Tim Ferriss or one of those guys said that the most successfulest people do daily exercise. So incorporating exercise into my morning routine has been key in my journey towards success. Nothing like starting your day with a good sweat! Wow, your mom is simply awesome. My productive morning routine wouldn’t be what it is without her. I get ready and head out the door to whatever cool job I have. But not before I get a “Text me when you get to work safely” reminder from your mom.